People are drawn to chartering a luxury yacht charter for different reasons. For many, the lure of a yachting vacation is the sense of escape, the atmosphere of high glamour, and that blissful ‘floating private island’ feel. When they charter a yacht, this group might envisage lazy days swimming off the aft deck, boutique shopping in exotic ports, and perhaps a night or two or ashore soaking up the exclusive scene in St Barts or St Tropez. Sounds utterly, deliciously decadent, doesn’t it? But there’s another breed of yacht charterer: the one who charters a superyacht for the sheer adventure of it all. The ones who want to travel to far-off places, and see incredible, heart-soaring things. This group wants to pack every day on charter with once-in-a-lifetime experiences, whether that’s night diving with hammerheads in the Maldives, kayaking through icebergs in Antarctica, or exploring an underwater graveyard of WWII wrecks in Micronesia. This group is often (but not always) young, for as we’ve written before: luxury yacht travel and Millennials are a match made in heaven. This group doesn’t mind so much about being in the centre of things on their yachting vacation: in fact, they’d prefer they weren’t. They want the yacht to get away from the crowded anchorages and glittering parties. They want to forge a different path. 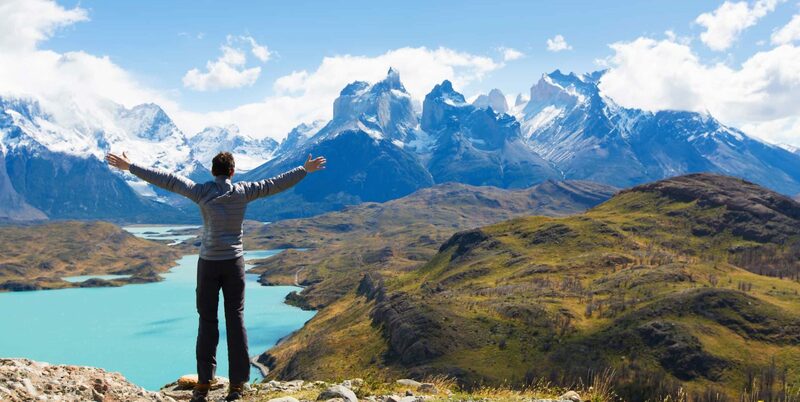 Wilderness cruising is a fast-growing sector of the yachting industry, noted in the rise of remote yacht charter destinations like Patagonia and Alaska, and the significant growth in luxury expedition yacht builds. Of course, yacht guests who go off the beaten track aren’t exactly ‘roughing it’ in their search for adventure. 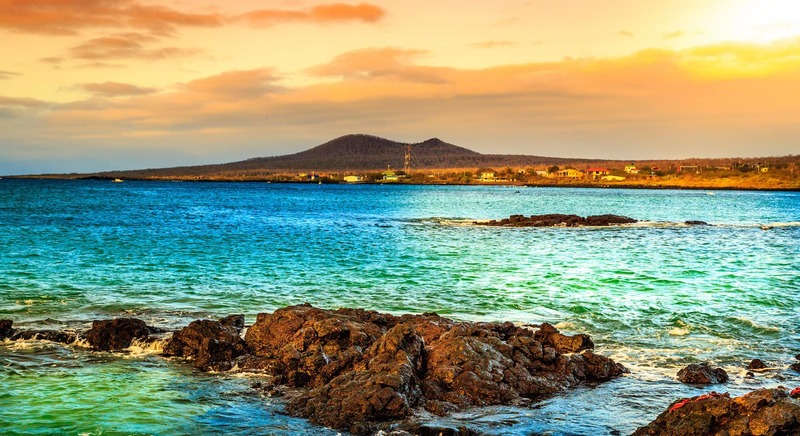 On a wilderness yacht charter, a day of adrenaline-coursing adventure is followed by a relaxing evening on board, perhaps dining on deck after diving the Galapagos, or warming up in the Jacuzzi after heliskiing off the yacht under Norway’s northern lights. With a private chef, stunning accommodations, and a professional crew tending to your every need, you’ll be in the lap of luxury as you float through some of the most wild and wonderful landscapes the world has to offer. Does this sound like your dream vacation? If so, here are two superb wilderness yacht charter destinations that truly raise the bar for remote cruising. It’s indicative of something truly special when yacht crew rave about a place as being somewhere which not only sets a new benchmark for remote superyacht cruising, but as a place that made the guests absolutely wild with happiness. Raja Ampat is such a place. I’d challenge you not to hold your breath in wonder as you approach this archipelago, where over a thousand islands are scattered like emerald jewels through a bright turquoise sea. Limestone outcrops rise above the water, covered in thick jungle and coconut palms, their shores lined with blinding white sand beaches, mysterious sea caves, dense mangrove forests, and blue lagoons. Dip your head under the crystal clear water, and things get seriously Technicolor, with a wonderland of spectacular coral formations, dazzling schools of fish, caverns as big as cathedrals, and giant sea clams littering the sea floor. 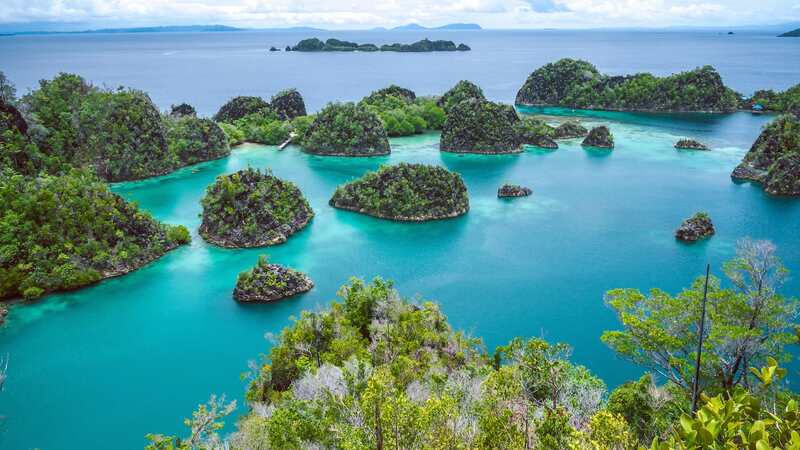 Part of the infamous Coral Triangle, Raja Ampat Marine Park is 4.5million hectares of reef and island, beach and sky, creating one of the great biological hotspots of the world, with 75% of all known coral species and over 1,400 different types of fish. This is a place of fantastical creatures—a glimmering underwater Amazon full of wild and wonderful life. Manta rays and pygmy seahorses float through the sunlit waters, dugongs and leatherback turtles poke their heads up near the yacht, and splendidly odd wobbegong sharks cruise along the seabed, their tassels and spots blending in with the coral. On a Raja Ampat yacht charter, spend happy days diving and snorkelling and picnicking on tropical beaches with not a footprint in sight. Go quickly to this place. When world-travelling yacht crew and billionaires are blown away by a place, you know it’s damn special. Breathe deep, Robinson Crusoe, for you are about to fall off the edge of the earth. Get ready, because this is wild cruising of a type that you’ll never get out of your mind. In my former life as yacht crew, I was lucky to cruise many places, from the Maldives to the Mediterranean, Asia to America. Of all these places, the Kimberley region in northwest Australia is still the most astonishing place I have ever seen. 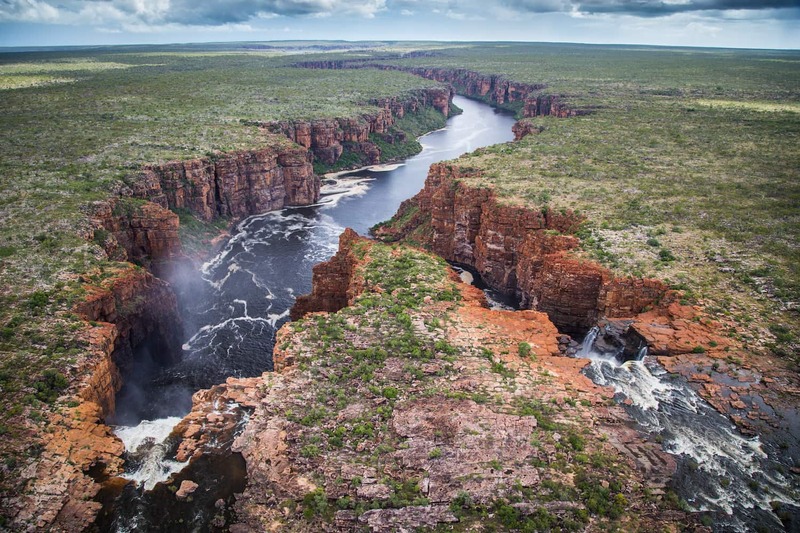 One of the most sparsely populated places on earth, the Kimberley is a striking desert landscape of rugged escarpments, mighty waterfalls, and breathtaking river gorges. Red rock islands rise out of aquamarine sea in silent archipelagos, boab trees stand stark against an outback landscape, and the Bungle Bungles (perhaps the world’s weirdest rock formations) hide crystal clear swimming holes and caves with ancient Aboriginal art. There’s luxury hiding here too, in this spectacular, forbidding landscape, with the five-star outback ranch El Questro providing the perfect detour from the yacht by helicopter. With so much awe-inspiring scenery, you might expect this place to be overrun with superyachts. That would probably be the case, if it weren’t for the massive, gnarly crocodiles perched on every picture-perfect beach, and sharks circling the yacht at night, sinister black shadows in the glow of the underwater lights. The Kimberley’s massive eleven metre tides reveal reefs that rise out of the water, and the force of the currents are such that it makes a waterfall run uphill. At night, galaxies of stars are printed in high definition across the skies, and the explosive sunrises and sunsets ripple across the landscape like Armageddon has arrived. We saw nobody but a pearl diver in two weeks, and a solitary customs plane flying overhead, checking our great white superyacht wasn’t smuggling boat people into the great brown land. This is adventure cruising at its finest. This is a place for the wild at heart. More than a decade on, I still think about that Kimberley yacht charter regularly. It was seared into my heart under endless Australian skies. And I’m not alone in falling headlong for this strange, beautiful place. The Kimberley region recently won the Voyager Award at the World Superyacht Awards, so while it will always be relatively quiet due to its extremely remote location, you may not have it to yourself for long. Of course, you don’t have to journey to the ends of the earth to encounter adventure on your luxury yacht charter, and you certainly don’t have to sacrifice glamour along the way. 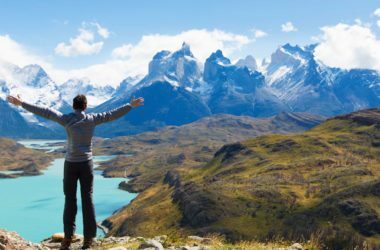 Every yacht charter destination promises life-changing adventure if you just know where to look, so speak to your yacht broker to organise the trip of a lifetime. Looking for more adventure cruising destinations? Check out our series on Top Wildlife Spotting Destinations on a Superyacht, which covers places like Alaska, New Zealand, and the Galapagos.